"Love Never Dies". Photo by Jeff Busby. Get ready for more music of the night–just not on Broadway. Love Never Dies, the sequel to Andrew Lloyd Weber’s smash musical The Phantom of the Opera (which celebrated its 10,000th performance this month), will finally hit the US but only at movie theaters on Tuesday, February 28 and Wednesday, March 7. After scathing reviews in London halted a scheduled Broadway production (Coney Island? The Phantom ends up in Coney Island? ), a revised version opened in Melbourne, Australia to some acclaim, renewing hope for fans that the show might rise from the ashes. 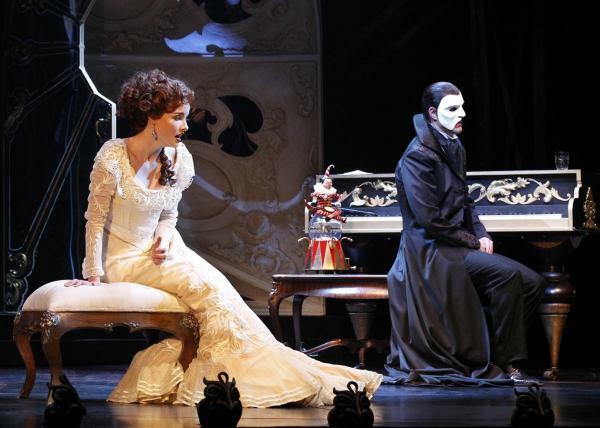 For now, though, Phantom lovers will have to make do with a filmed performance from Down Under.